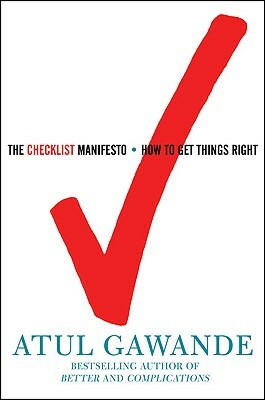 Atul Gawande informs us of the power of checklists. As readers of this blog know, my mother spent more than a month in the hospital this spring due to congestive heart failure. My brothers Mike and Jon spent hundreds of hours at the hospital, advocating for Mom and trying to make sure that she got the best treatment possible. One of the major challenges they found was that information about Mom’s pre-exsiting conditions and current medical status rarely transferred between the heart, kidney and other specialists assigned to her care. The lack of information transfer also occurred with nurses working on different shifts with Mom. In The Checklist Manifesto, Stanford classmate Atul Gawande, who has gone on to Olympian heights of a Harvard professorship, a staff position at The New Yorker and a MacArthur grant, says this phenomenon is not limited to Mom, but rather is a function of the hyperspecialized direction in which medicine has evolved. A key component in improving communication and saving lives: a checklist.